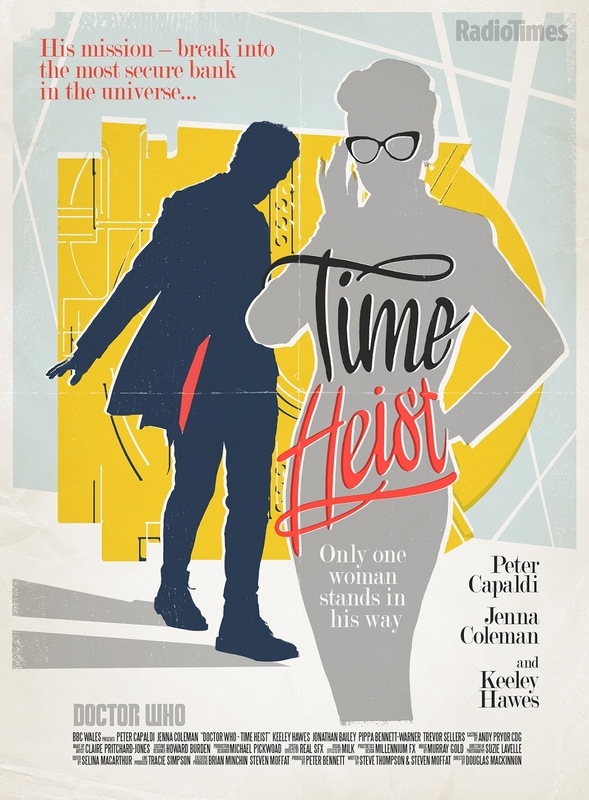 Doctor Who's eighth season episode Time Heist is the British sci-fi show's take on the movie Ocean's Eleven, with the 'Twelfth Doctor' and 'Clara Oswald' summoned to the Bank of Karabraxos via the TARDIS phone to break into the maximum security financial institution with some new recruits. 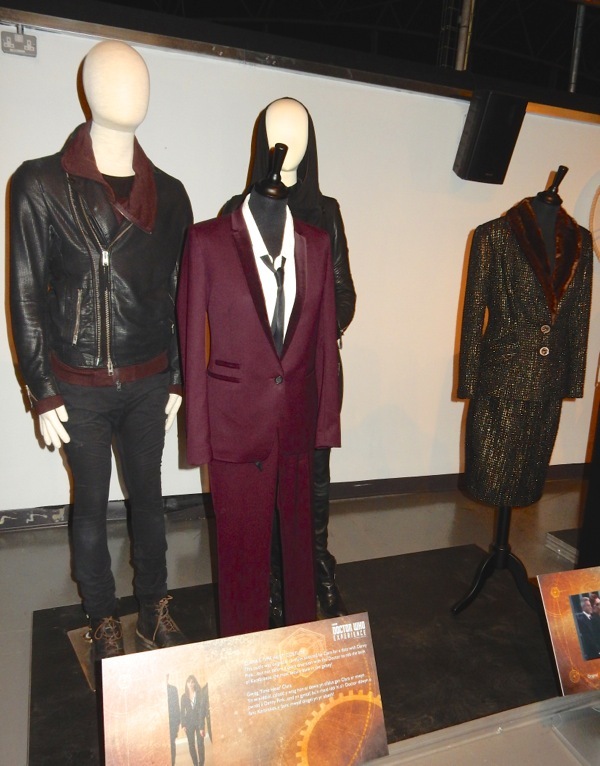 Here's a selection of original costumes and props from the episode on display at the Doctor Who Experience exhibition in Cardiff Bay, Wales on April 20, 2015. 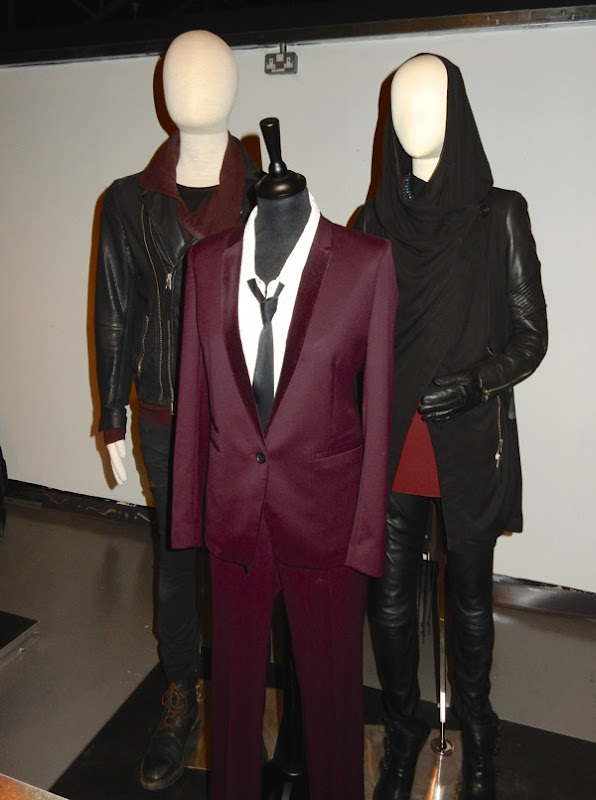 Included in the exhibit is the sharp suit worn by Jenna Coleman as the Doctor's Companion 'Clara' and the outfits worn by their partners in crime, augmented human hacker 'Psi' (Jonathan Bailey) and shapeshifting human mutant 'Saibra' (Pippa Bennett-Warner). 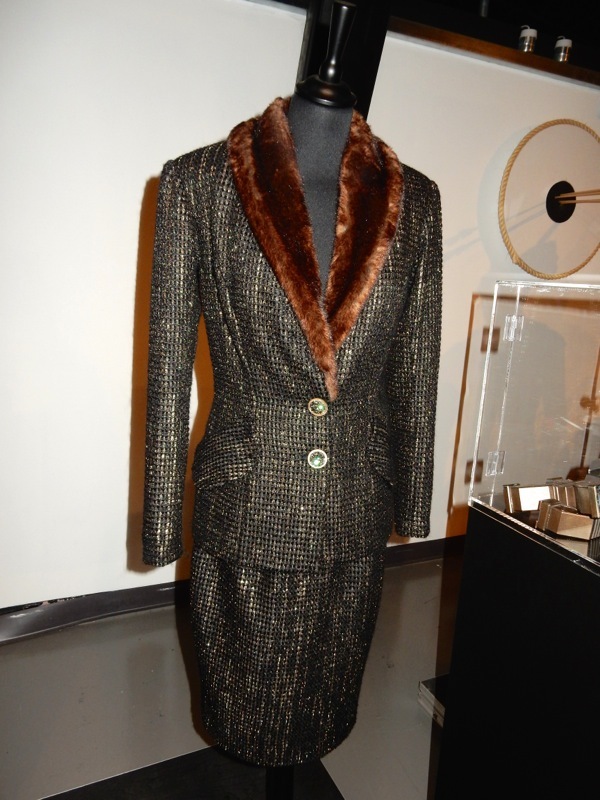 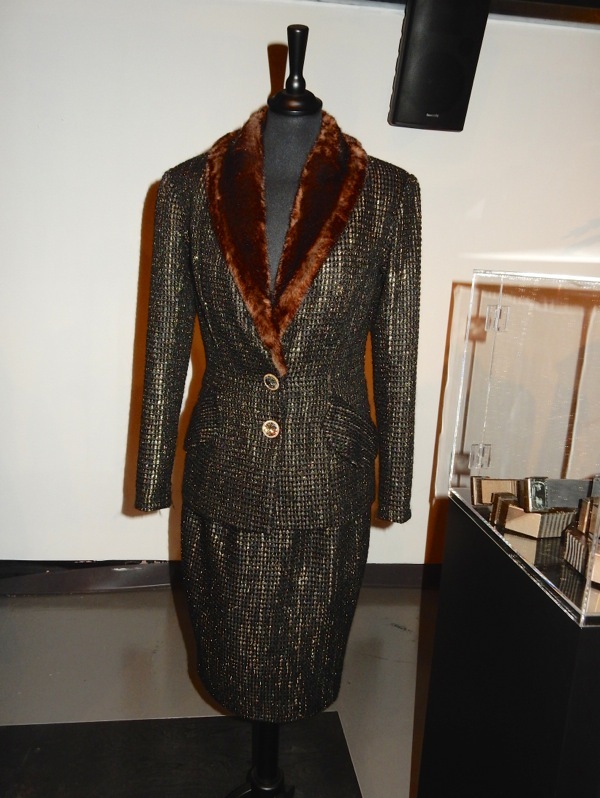 Also on display was the businesslike outfit worn by Keeley Hawes as the ruthless 'Ms. 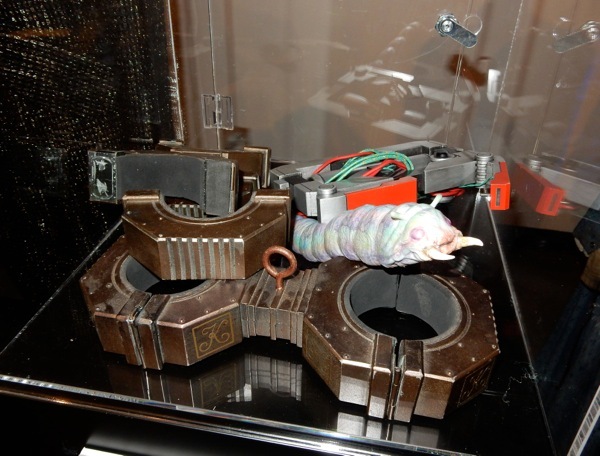 Delphox', head of security at the most secure bank in the galaxy. 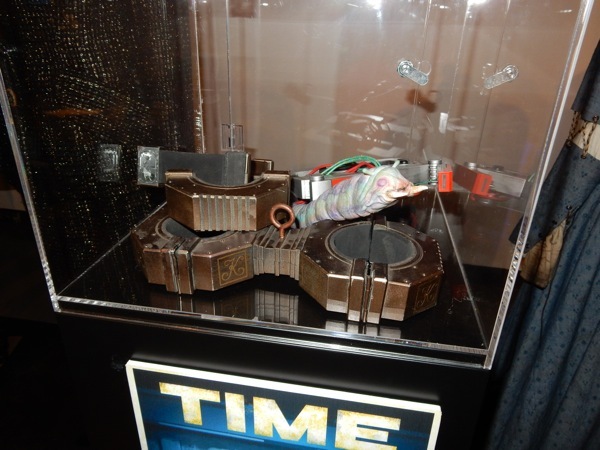 In Time Heist the Doctor used a memory worm to help remove their memories and one of these critters, plus other futuristic manacle props were also on display. 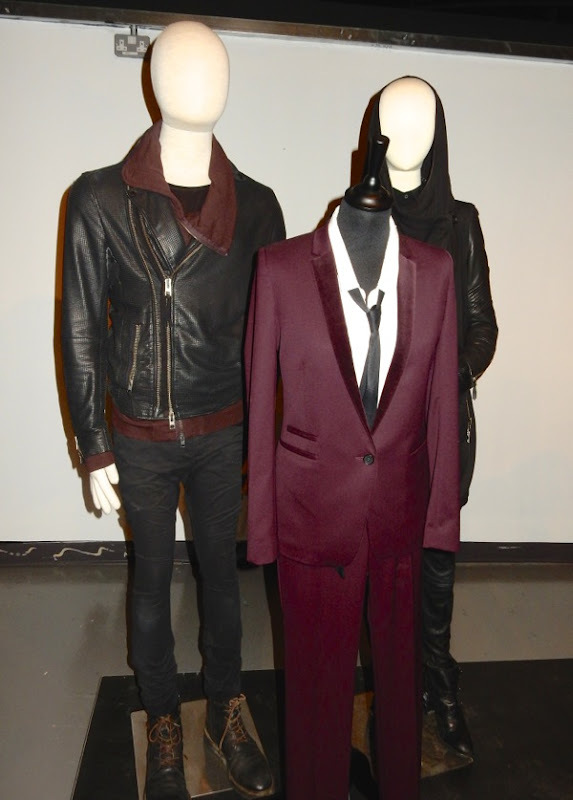 If you like these, be sure to check out more cool costumes and props from Doctor Who's most recent season, plus even more from classic episodes and past seasons.